RapidSAT LBT provides a high quality portable calling solution, using superior echo cancelling and full duplex technologies to provide superior voice quality. The RapidSAT LBT enables handsfree or privacy calls. This is contained within a lightweight and durable carry bag ready for use anytime, anywhere. 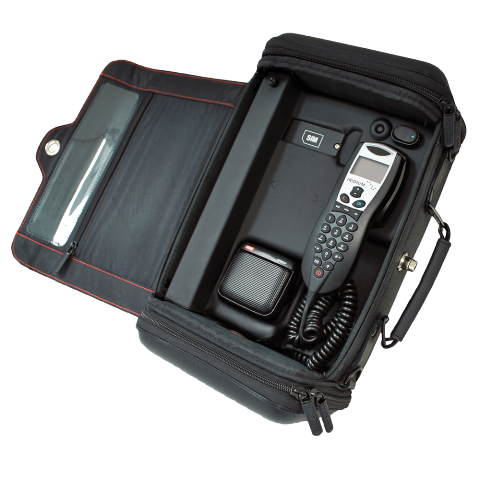 The purpose built RapidSAT LBT provides integrated antenna, data and power connections that makes it possible to keep all antenna cables and power permanently connected to the handset and allows for the bag to be ready at all times. The Intelligent handset supplied with RapidSAT LBT supports both handsfree and privacy modes of operation automatically switching between either mode with the handset in or out of the cradle. The flexibility of the RapidSAT LBT enables the unit to be easily transported between various vehicles, boats, machinery or aircraft and simply connects to the vehicleâ€™s DC power source for in vehicle use or alternatively the optional battery back-up for away from vehicle use. 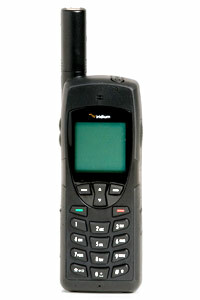 The Iridium 9555 is the ultimate in dependable mobile communications. It is a ruggedly built tool, not a toy. It won’t play games, takepictures, or play MP3s. What it will do is work. Everywhere. Without exception. It is engineered to withstand the world’s toughest environments, so the world’s toughest customers can depend on it as a critical lifeline whenever and wherever need takes them. It is compact, light, and easy to use right out of the box. Itâ€™s engineered to withstand rugged environments and connected to the only truly global mobile network â€” so you can depend on it as a communications lifeline whenever and wherever itâ€™s called for.